One of the important things that a business would want to predict is its clients’ behaviour. And, what influences human behaviour? The Personal Culture. Personal culture is the combination of core beliefs, values and biases of the individual. It is unique to every individual. It’s the lens through which he views the world. But, how do corporations discover everyone’s Personal Culture? Every small action enriches the person’s story. The fitness trackers, connected devices, connected cars, connected brains (coming soon! ), every new technology that he uses, offers a bit more information about himself to the world. The world, then, combines all this information to form concrete knowledge about him (Personal Culture). Then, predicting his behaviour becomes a mere statistical problem. In today’s hyper-connected world, you have two choices: either you worry about your privacy or be happy about the improved convenience. Wouldn’t our world be a more understanding place? IBM’s Watson used predictive analytics to win 1 million dollars on a highly challenging gameshow (Jeopardy!). Google’s DeepMind is trying to predict cancerous tissues in our body. Companies like HP can predict which employees would quit, while, Target can predict which female shoppers are pregnant. Banks can predict whether you will default on your payments, and, Insurance companies can predict when you will die. The future of prediction looks very promising. Predictive analytics is still in a nascent stage, yet, it has helped businesses to save billions of dollars or create billions of dollars, so far. This would have been impossible to achieve without the power of prediction. Until now, the cost of the IT infrastructure had been prohibitively high for the majority of small businesses to install predictive analytics capability; not, anymore! 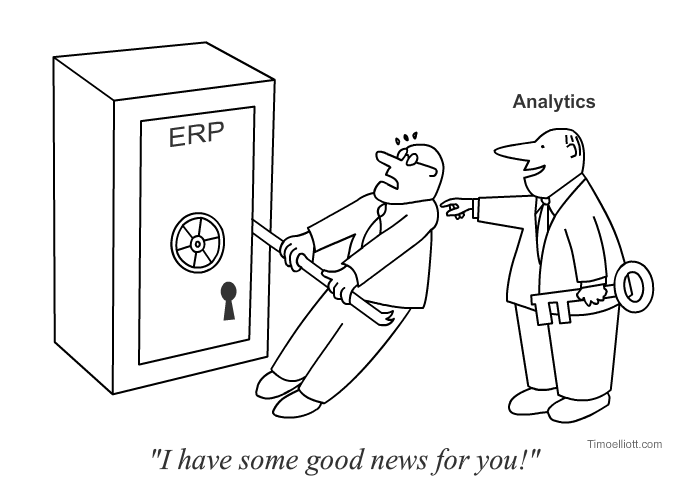 Now, you can have the predictive analytics capability of big corporations for a reasonable price. The best part is, you do not need any technical skills. If you can use Facebook, you can use it, easily. An interesting side-effect of this newfound power of prediction: we all will understand each other, better. What do you think?